How intranet design is an essential component of any successful intranet deployment. The 1% Rule of intranet usage -- not everyone will be active participants. An intranet strategy for increasing adoption with lurkers. Intranet personas and how important it is to understand the different types of people that use your intranet. Today we're going to discuss some strategies on how to get more people participating on your intranet. Rather than focusing on getting everyone on board, instead focus on creating an intranet that your employees look to as the primary source for valuable information within your organization. The place where people go to get the information they need to do their job better. The social place where they go for answers to their questions. To do this, you need to focus on creating what's called social capital. This creation of "social capital" will not only keep active employees engaged, but also help convert inactive users into lurkers, and lurkers into active members. As a result, you'll bring more users into the fold, even if they're not active contributors. What is Social Capital? And What the Hell Does it Have to Do with Intranets? Social capital is the value gained from connections and activities within your intranet software. Both individuals and your company as a whole benefit from social capital. "Social capital refers to those stocks of social trust, norms and networks that people can draw upon to solve common problems. Social capital is productive ... [and] tends to cumulate when it is used..."
The term social capital emphasizes not just warm and cuddly feelings, but a wide variety of quite specific benefits that flow from the trust, reciprocity, information, and cooperation associated with social networks. Social capital creates value for the people who are connected and - at least sometimes - for bystanders as well. Social capital bridges the gap between activity and inactivity through the development of social norms and practices that encourage cooperation for the benefit of all. This is only achievable when people share information and work together. Your intranet is a major part of this creation and management of social capital in your business. It connects people and creates relationships. The value gained from this is what happens when people do things for each other. The more this happens, typically the better things get and the more valuable it becomes to your organization. G. David Garson at Harvard University says that strong offline networks help to create strong online networks. That makes sense, right? Your intranet is an extention of your company culture and the relationships people have to each other. Social Capital: NOT Just for Active Users. While it is easy to see how active 'information posters' gain value when they share knowledge, it's sometimes more difficult to see how others can benefit from social capital. People benefit when they absorb information located on the intranet, offline, and out of the network. In fact, it is very likely that inactive participants will be responsible for enhancing the intranet's offline social capital. When viewed from this perspective, intranet managers should not subscribe to the idea that their goal is to get everybody across the network participating. Instead, they must learn that active lurking is also an acceptable and valuable activity and one that contributes to social capital across the organization—albeit offline. And again, that's OK. Lurking also enables people to get to know each other by listening, as opposed to everyone talking. The more people get to know each other, the more social capital is created. For lurkers, the first step is usually becoming familiar with the intranet and seeing what value is to be gained from their involvement. This process of getting a feel for the intranet is the first step toward eventual active participation, or a lack of it. Intranet managers need to approach lurking with the understanding that this is one of the main ways some members gain (online) and create (offline) social capital. In Fact, Social Capital Requires Lurkers. Just like everything else, too much of anything dilutes its value. In the case of intranets, too many information sharers can actually reduce social capital. With too much information to digest, it can be overwhelming if the 90-9-1 rule is reversed, where the majority of people are posting rather than lurking. As a result, users consume less, find less utility, and, as a result, acquire less social capital. Lurking is especially important for new entrants to help them understand the social norms and expectations of what happens on the intranet. In time, lurkers can join the active community, if they so wish, and becoming active participants. When you think about it, lurking is one of the signs that users are reading and using the information from the network in their work. We all know how important listening is in real life, right? On your intranet, it can be a sign that the network is providing value, and intranet managers should trust that the environment they have created is providing value by enabling and encouraging active listening. Creating Valuable Content & Social Capital is the Key. 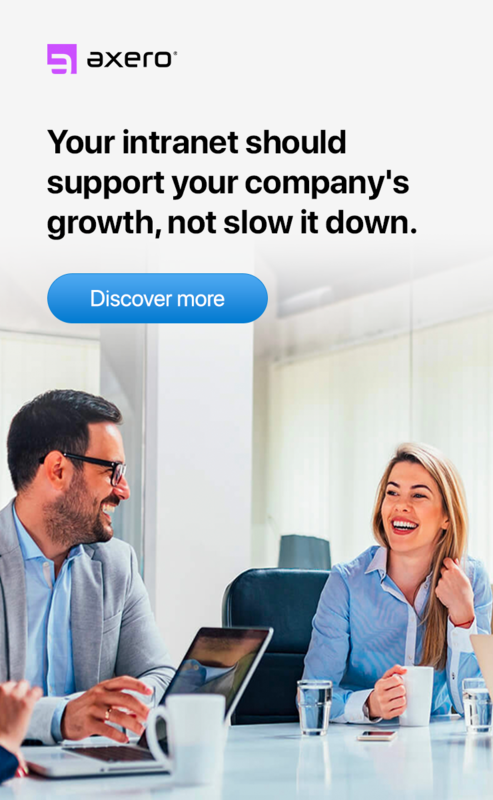 In order to scale your intranet across your company, your employees must find value in listening, and over time, move up the ladder of participation. This requires constant cultivation of value to ensure the intranet influence is felt across the ecosystem of corporate communications. The goal is not necessarily to make every employee an active poster or to force every user to contribute, but rather to increase the value and influence offered by the community as a whole. 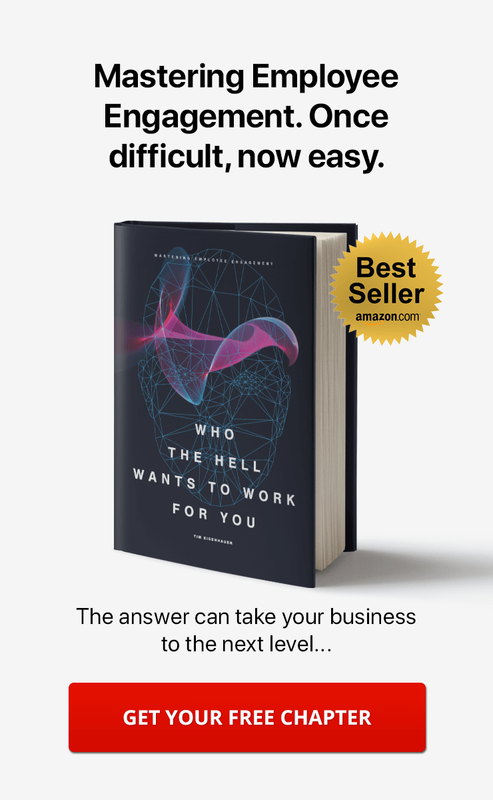 When employees start listening, they will discover value from the network and use this information in their daily workflow. The idea here is to offer so much value that inactive members cannot afford to stay logged out. Creating valuable content is key to getting and keeping everyone engaged. ... put it on the intranet. When there are mutual interests, common goals, and backgrounds among people, they'll be quick to jump onto a network due to the perceived social capital. In the process, the community benefits from the collective involvement, further increasing social capital. Whether it's lurking or active posting, both of these activities are essential to the success of an intranet that offers true social capital to its members and community. 5 Ways to Keep Your Intranet's Social Capital High. To optimize the overall value of an intranet, the goal should not be to focus on the ratio of posters to lurkers, but rather on increasing the relevancy and usefulness of the network for every individual. It is not about the number of comments, postings or likes, but the value of the social capital on the network. Here are five ways that moderators and intranet managers can maintain high social capital on an intranet without overloading, distracting or deterring active users or lurkers. 1. Focus on Practical Use, Not Just Information Sharing. Of course, your intranet should allow members to post status updates and other short messages on their activity stream. However, the most valuable social capital your employees can offer each another is practical application: the sharing of know-how (knowledge management), launching and working on projects within the intranet (collaboration), and announcing official company news (internal communications). By supporting functional work activities on the intranet, there will be less clutter across activity streams as members post more project-related updates, instead of just sharing photos of their cats, dogs—or their kids dressed up like bananas. The value of practical work activities can greatly boost the social capital of your intranet. 2. Segment Your Intranet Using Groups. an intranet where you have the same interests or specialties as other members? Creating groups of like-minded users generates a much higher degree of correspondence and social capital for members. It not only ensures they have access to information of interest, but also reduces the clutter in their individual feeds to keep them engaged instead of overwhelmed. Interestingly, even lurkers in a catch-all community, where anything and everything goes, have been shown to be active posters in specialty groups where they can relate to other team members. Whether it's a department-based, team-based, role-based, or an interest-based group, segmentation has proven to reduce the number of lurkers and generate a much higher number of active participants. Begin group segmentation by creating spaces for each department. From there, break it out into functional groups, project teams or committees. As things develop, you can even allow your employees to segment themselves based on interests, topics, and geographical locations. When people collaborate in person, participation across the network increases. As part of the Phillips All Employee Jam, the company aimed to encourage creativity by collecting great stories from their employees around the globe and distributing them openly, even outside the organization. They created a meme video and an interactive booklet. The content created from these interactions received thousands of downloads and the number continues to grow. By using real-life interactions, Phillips' network leaders increased the active engagement within their community. This is a classic example of how to boost the social capital of an intranet by encouraging interaction outside the network. 4. Allow for Informal Spaces. Even after segmenting the network and encouraging interaction within a focused group, it's likely that members will want to create their own informal groups where they feel at home. These groups could be based on anything: sports teams, movies, books or affinity groups. Such informal communities strengthen ties among members by satisfying their desire to relate to other members with similar personal interests. In our Axero Intranet, we have a space called "The Watercooler" that's open to all employees to share anything they want. We post interesting videos, quotes, links to articles on the web, our favorite songs, commentary on the latest movie we watched, hobbies, and even photos of people giving blood. It's where team members get to interact with people they may not know or have little interaction with during typical work scenarios. They get to learn more about everyone on the team. And of course, like everyone else, within this space we have both active people that regularly post and we have lurkers. But what's interesting, is that occasionally people will discuss a post they saw in The Watercooler while we're on the phone or waiting for a meeting to begin—outside of the intranet—even if they didn't like or comment on it within the platform. We might have a blood drive going on at the company, and I don’t even have to know about it. Now that's culture! These informal groups are important to people who may not like to share personal information in formal groups, and it's important that these informal groups accommodate this set of users. 5. Make Contributions Seamless and Automatic. In order to encourage participation, it is essential to make the barrier to entry as low as possible. One way to do this is to encourage people to edit and improve content on your intranet. Creating something new is a lot more difficult than fixing a grammar or spelling mistake. Integrating their activities outside of the intranet can encourage participation. Appropriate web activities outside of the intranet can be brought into the network. Creating and maintaining high social capital is the ultimate goal for any intranet, and getting there requires building engagement in every form—from active posters to quiet lurkers. It's an ongoing process, one that takes creativity and persistence on the part of intranet managers and moderators. Rome wasn't built in a day, and nor will your vibrant intranet. 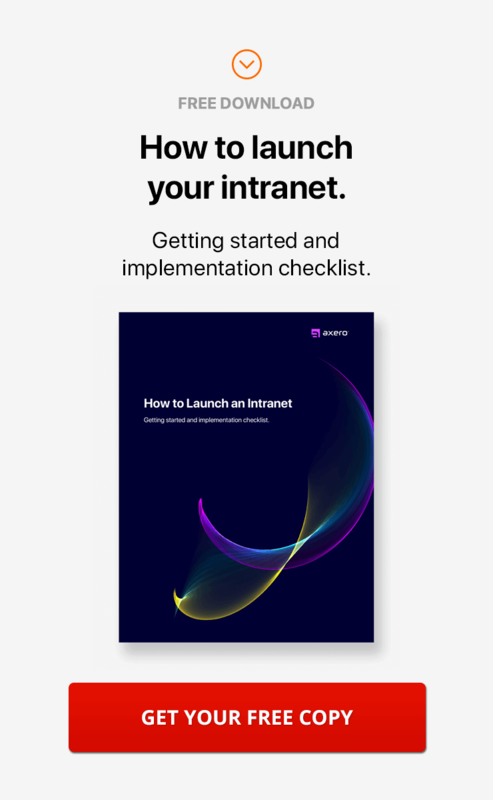 It takes time for members to understand and appreciate the value of the new intranet, to become accustomed to turning to the intranet as their most trusted source of information, and to realize the full value it has to offer. 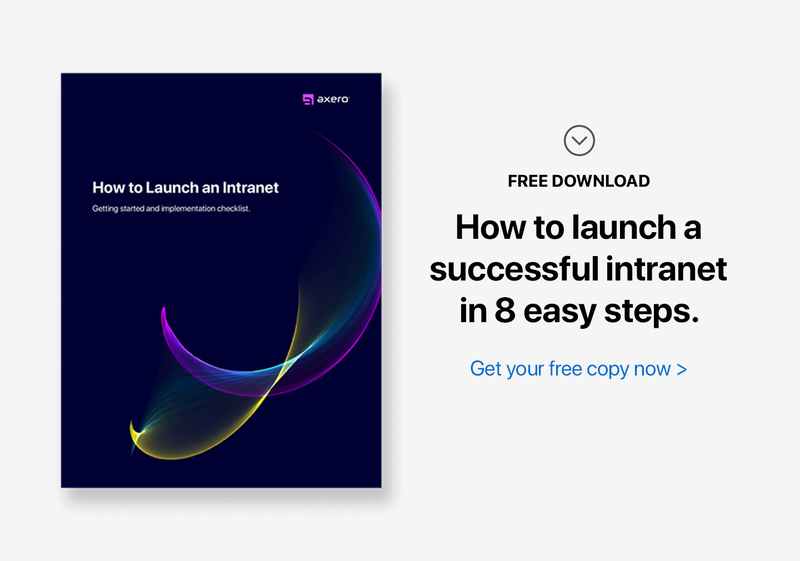 As long as you employ the strategies and tips provided here and throughout this series, it should be easier for you to see the real-world impact of your intranet. At the same time, it may not always be possible to measure precisely just how much your employees are benefiting from the use of the intranet. If you can't mesasure it or turn it into a number, then have a conversation with people and ask them if they're getting value. Make it a topic of conversation.